Haa Valley was opened to tourists since 2002 and has remained beautifully quaint and untainted by the influences of modern development from outside world. It remains one of the least visited areas in the country and retains the air of an unspoiled, primeval forest. 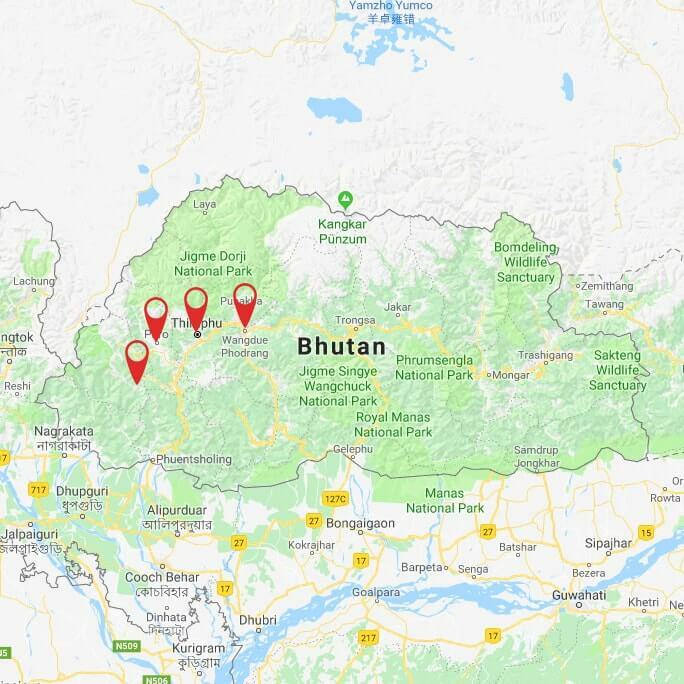 This Bhutan Tour packages is designed to reveal the beauty of Haa Valley as well as to experience Bhutanese hospitality and explore beautiful architectures of Bhutan with friendly people. NOTE: Our private prices are applicable for the low season months (January, February, June, July, August & December). If your travel dates are in the other months, the revised prices are applied. Our Bhutan Tour: Haa Valley Jaunt starts in Paro capital. Arrive in Paro international airport, you will be welcomed by your Asia Senses tour guide and driver then transferred to Thimphu, the capital city and the main center of commerce, religion and government of Bhutan. The drive takes about an hour and half to reach Thimphu, en route, enjoy the beautiful views of Thimphu valley. Check into your hotel and take a short break for lunch. After lunch, we will drive to the Buddha Dordenma statue to have an outlook of the city and for a stunning view of the valley. This gigantic Shakyamuni Buddha statue measures in at a height of 51.5 meters, making it one of the largest statues of Buddha in the world. Then take a visit to National Memorial Chorten, one of Thimphu's most iconic monuments. It was built in 1974 as a memorial to the third king, Jigme Dorji Wangchuck who reigned from 1952-1972. Next, we take a visit to Motithang Takin Preserve to see takins, the national animal of Bhutan, a strange looking beast with horns like a wildebeest, a nose like a moose, a tail like a bear, and a body like a bison! Afterwards, we take a view of the majestic Tashichho Dzong which is located close to Thimphu town, next to the banks of the Wangchhu River. Today, Tashichho Dzong houses the secretariat, throne room, and offices of the King of Bhutan. Continue on to Royal Textile Academy to witness the traditional art of weaving and Folk Heritage Museum Kawajangsa which is providing a detailed insight of the entire folk history and heritage of Bhutan. Overnight in one of the carefully selected hotels in Thimphu. This morning, we will drive to Punakha which takes approximately two and half hour. On the way, we will stop to visit Dochula Pass at an altitude of 3150m dotted with colorful prayer flags and 108 Stupa. If the weather is good enough, you could see the most wonderful panorama over the high peaks of the Eastern Himalaya while enjoying a hot cup of coffee/tea at the Dochula café. From the pass, we continue driving through varied forest and finally emerging into the highly cultivated valley of Punakha. Just before reaching Punakha, we will stop at Sopsokha village roadside and take a stroll (about 20 minutes) through beautiful rice fields to Chimi Lhakhang, a temple dedicated to Drukpa Kunley, who as a favorite saint of the Bhutanese people is known affectionately as “the Divine Madman”. The temple is on a hillside in the middle of rice fields and has become a pilgrimage site for childless couples. It is believed that childless couples will have children if they get blessing from the lhakhang's wooden phallus. Our trail leads across rice fields to the tiny settlement of Pana. There are few young monks at the temple, which is surrounded by a row of prayer wheels and some very beautiful slate carvings. Enjoy some tea and snacks at the end of hike while overlooking the fields. Visit Punakha Dzong which is arguably the most beautiful dzong in the country and one of the must-visit places in all leisurely Bhutan tour packages. The three story main temple of the Punakha Dzong is a breathtaking example of traditional architecture with four intricately embossed entrance pillars crafted from cypress and decorated in gold and silver. Later in the afternoon, we drive back to Thimphu. Overnight at hotel in Thimphu. This morning, our guide will take you to visit Simtokha Dzong, one of oldest Dzong in Thimphu that was built in the year 1629 by Zhabdrung Ngawang Namgyal, who unified Bhutan. The legend said that this dzong was built in order to subdue a demon which used to scare villagers and harass travelers. Alternatively, pay a visit to Thimphu Institute of Zorig Chusum where you can catch a glimpse of apprentices honing their skills and knowledge in 13 traditional arts and crafts of Bhutan. Afterwards, we depart Thimphu for Haa (approximately three and half hour), the westernmost valley in Bhutan. 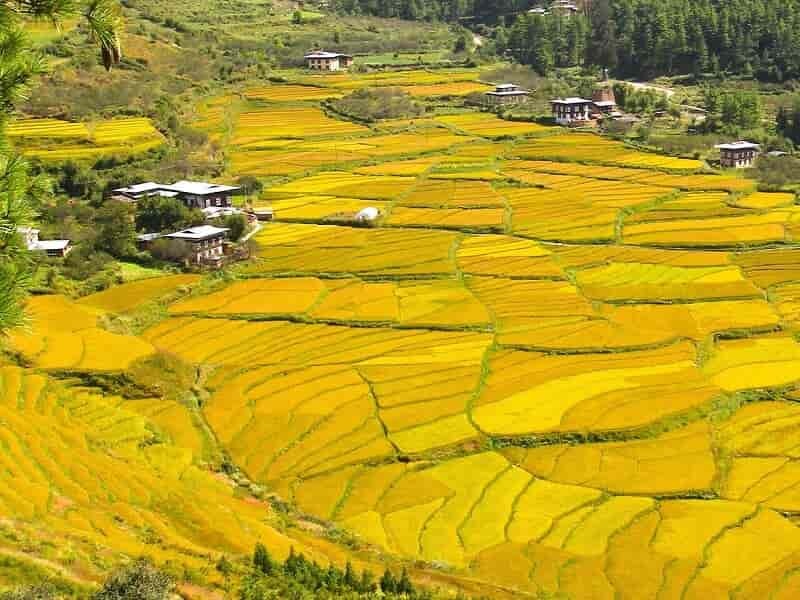 On route, enjoy this lovely drive through wonderful landscape and remote settlements and watch houses and buildings are painted and constructed in traditional Bhutanese style. The road takes us back to Chuzom (river conﬂuence) where we catch a glimpse to Dobje Dzong which was built in 1531 by Lama Ngawang Chogyal. It is combination on style of Nepali, Tibetan and Bhutanese shrines. In the past, it used as a prison which now houses a monastery. Then we continue driving Haa valley through dense spruce and larch forests according to the seasons. 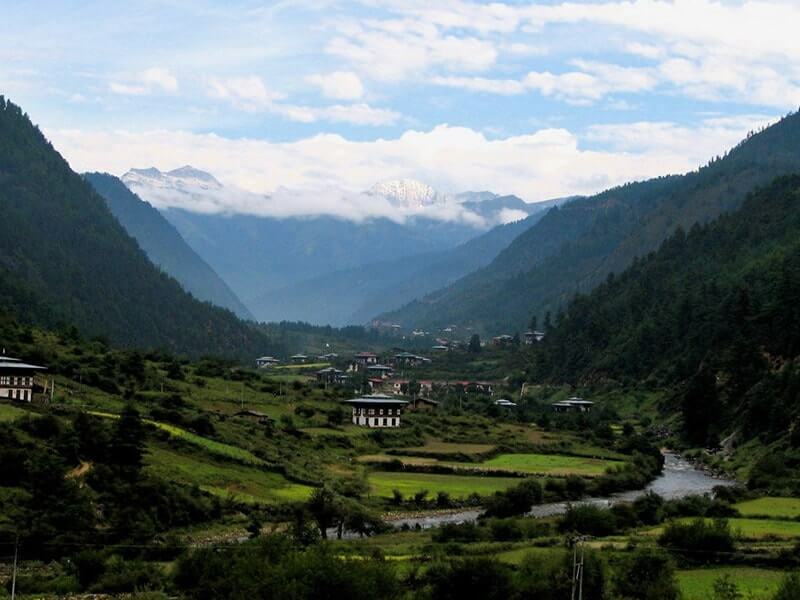 The pristine Haa Valley is located in South West of Paro and it is the smallest Dzongkhag in the country. Haa Valley was opened to tourists since 2002 and has remained beautifully quaint and untainted by the influences of modern development. It is surrounded by forested hillsides full of ancient shrines, while the narrow valley floor is dotted with fields of millet, barley, and potatoes. Upon arrival Haa, we will walk through the serene hamlets and remote monasteries below mountain peaks like Lhakhang Karpo and Lhakhang Nagpo which were established in the 7th century by Tibetan king Songtsen Gempo in his mission to build 108 monasteries in one day. The rest of day, we take a leisurely drive to the beautiful valley and stroll around the remote town of Haa. Overnight at hotel in Haa. Haa remains one of the least visited areas in the country and retains the air of an unspoiled, primeval forest. Today, your full day Bhutan trekking is spent in the Haa Valley. After breakfast, our guide will take you from your hotel via some farming fields, forested hill and bridge to a vertical cliff where you will get really good views of Haa Valley. From here, we will start our trek, walk on rough roads. After 20 minutes of walking, we will reach to Talung village which is situated in a small side valley. We walk through the village is a treat by itself as you happen to catch a glimpse of rural Bhutan. You may well receive 'invites' into one or two of the farmhouses which would provide an interesting look at the way of life and standards of living of typical Bhutanese farmers. 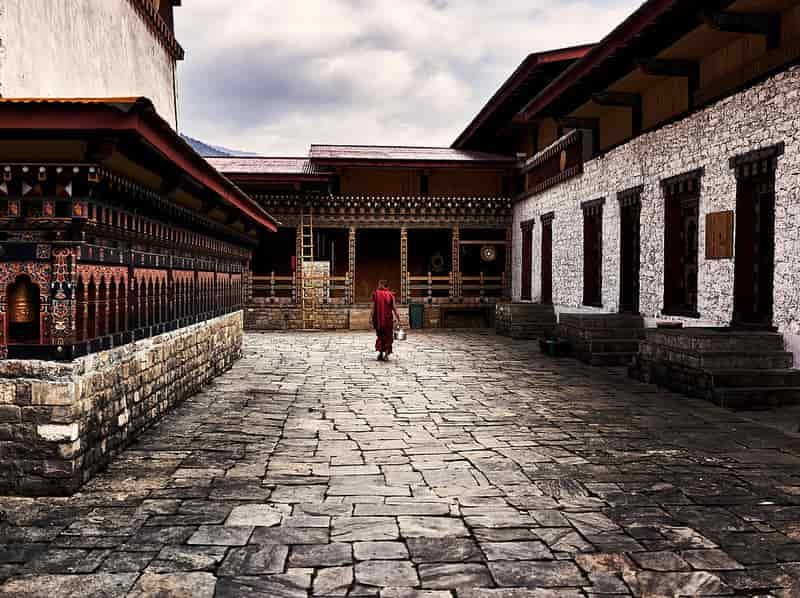 Bid farewell to friendly villagers and continually trek to Yongto Gompa, one of the oldest monasteries in Haa. From Yongto Gompa, enjoy the panoramic views of Haa valley sprawling all across down there. Afterwards, we walk steeply down the hill then trek back to Haa town. Along the way, we will pass through peaceful villages, visit some typical Bhutanese farmhouses and see farmers working in their farms. Return to your hotel for lunch and take a short rest. For afternoon activities, our guide could give you some suggestions: these might include a walk or biking tour around town. Or free at leisure at your hotel. After breakfast, our guide will transfer you to Paro via Chele La Pass (3,988m) which separates Haa and Paro valley. 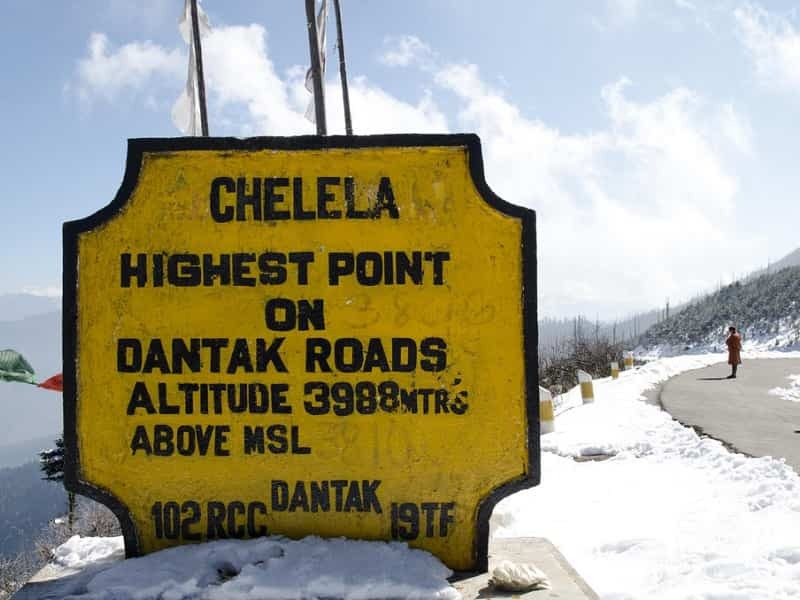 It is one of the highest motorable pass in Bhutan. From the pass, you can see Paro valley on one side and Haa valley on the other. On a clear day, you can also catch a glimpse of the Jhomolhari(7314m), Bhutan’s second highest mountain. Pay a visit to Kila Goemba (Chele La Goempa) which is nestled in a craggy patch on the mountainside below the Chele la pass, and surrounded by numerous huts, perched precariously along the rock face. It is home of Buddhist nuns who have dedicated their life for spiritual fulfillment and leading undisturbed life of religious studies, prayer and meditation. Afterwards we proceed to Paro. Upon arrival, visit Rinpung Dzong which was consecrated in 1645 by Shabdrung Nawang Namgyal on the site of smaller fort. Its name means “the fortress of the heap of jewels”. From the dzong, walk further down to Nyamai Zampa, an oldest traditional cantilever bridge in Bhutan. Then head to the National Museum which is located on the hill behind the Rinpung Dzong. In this museum, there are over 3000 artworks and masterpieces that display more than 1500 years of cultural heritage of Bhutan. 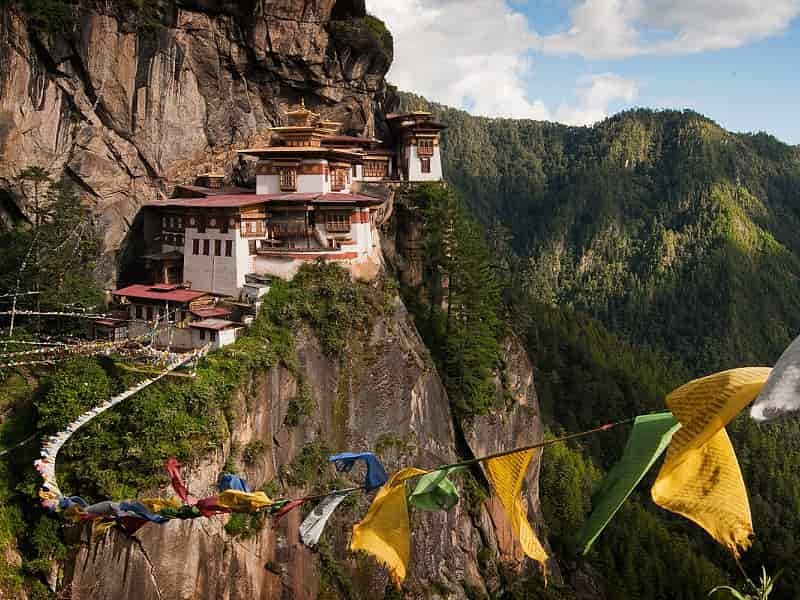 After an early breakfast we drive up to the starting point and prepare for our Bhutan trekking to the legendary Taktsang (Tiger's Nest) - a magnificent monastery, clinging on a rock cliff 900 meters above the valley floor. It was constructed in 1692, around the cave where Guru Rinpoche first meditated, the event that introduced Buddhism into Bhutan. 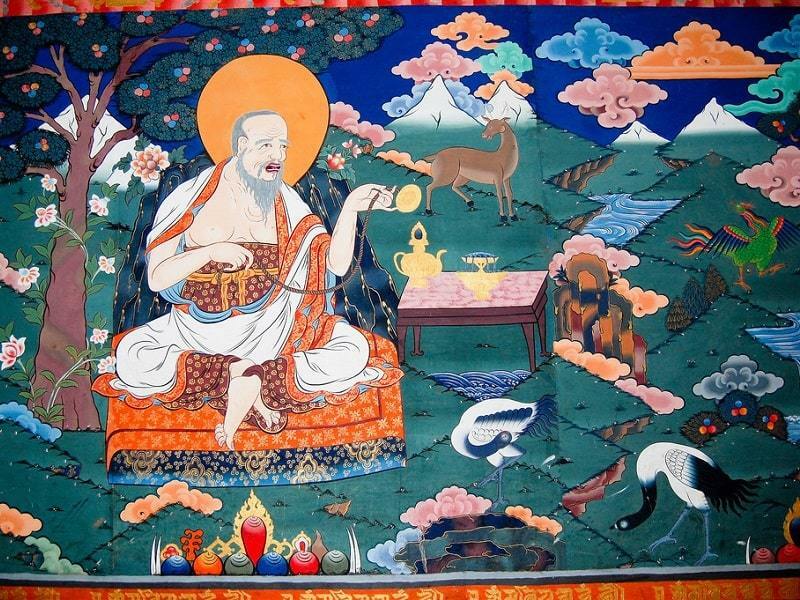 Legend has it that in 8th century Guru Rinpoche flew to this exact spot from Tibet on a back of a tigress, thus giving it the name “Tiger’s Nest”. 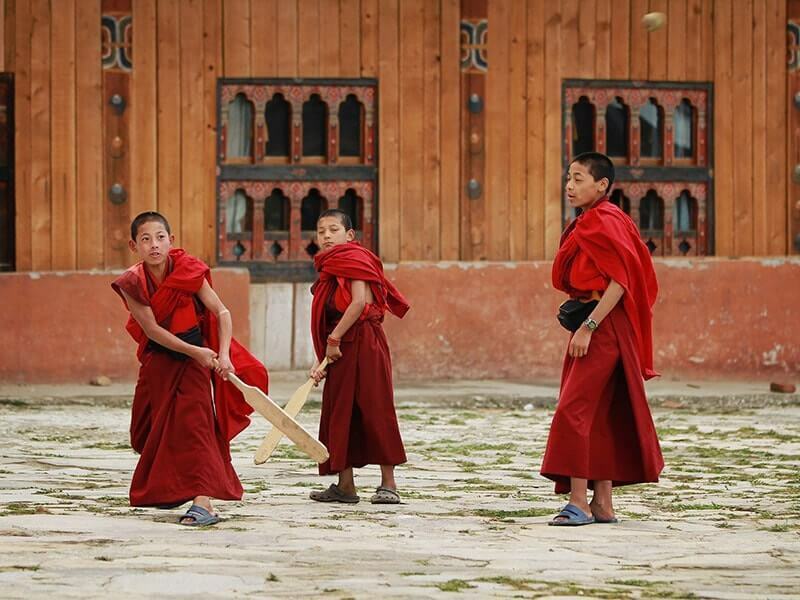 All Bhutanese Buddhist desire to come this monastery at least once in their lives. The hiking trails pass through the meadow of pines, rhododendrons and oaks. NOTE: Horse ride to the cafeteria is available and can be arranged at additional cost. On the way back, stop then have lunch at the cafeteria. After that, if your energy allows, we drive to the ruins of the 17th-century Drukgyel Dzong which was a fortress and Buddhist monastery, now in ruins, located in the upper part of the Paro District. In good weather conditions, the towering peak of the sacred Mount Jomolhari (7314m) appears as a stunning backdrop. Following the Drukgyel Dzong visit, it is worth stopping at the 7th-century Kyichu Lhakhang, one of Buthan's oldest and most beautiful temples. 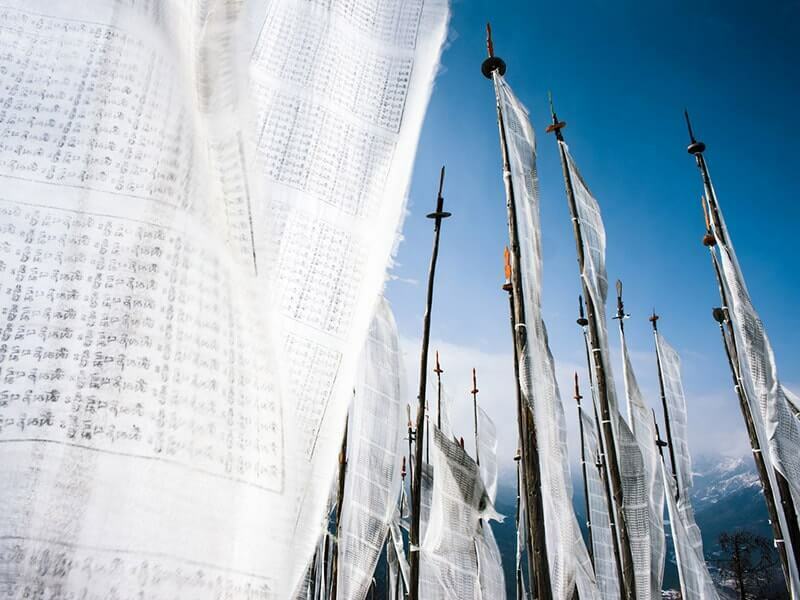 The temple is popularly believed of the 108 temples constructed by the Tibetan King Songtsen Gampo. Overnight at hotel in Paro. Your Bhutan tour: Haa Valley Jaunt wraps up today. After breakfast at the hotel, free at leisure until our guide and driver transfer you to Paro airport to catch your departure flight. End of our service. If you are continuing to travel, please let one of our travel specialists know. All sightseeing as specified and entrance fees included.